A commitment to work toward lowering processing fees for credit cards was the highlight of the 2014 federal budget for Canada’s small business community. That commitment was the best news contained in the budget, said Dan Kelly, president of the Canadian Federation of Independent Business (CFIB). “The government has done a lot to address (credit card) problems from a merchant perspective over the last few years; there has been a clean up of bad practices: plans for credit card companies to get into the debit card business were scuttled and they have stopped the mass issuing of premium cards to people who didn’t request them. Another bright spot is that the filing frequency for several taxes paid by small business has changed. Rather than remitting source deductions like Canada Pension Plan (CPP) and Employment Insurance (EI) bi-weekly or weekly, the government will allow more businesses to remit them monthly, depending on their size. This will help small business by dramatically reducing red tape and paperwork, Kelly said. ▪ Increase to $25,000 from $15,000 the threshold level of average monthly withholdings at which employers are required to remit up to two times per month. ▪ Increase to $100,000 from $50,000 the threshold level of average monthly withholdings at which employers are required to remit up to four times per month. The proposed changes will mean that over 50,000 small and medium-sized employers will see their maximum number of required payments for source deductions cut in half, eliminating the requirement for more than 800,000 payments. Kelly said that CFIB also welcomed plans by Ottawa to push ahead with the Canada Jobs Grant program, despite the fact that no province has yet signed on. The program, a centrepiece of last year’s budget, will see roughly $300 million of $500 million in current federal job-training transfers redirected by the time it’s fully implemented. Ottawa said it had plans to take on the provincial share of the program and launch it April 1 in provinces where a deal isn’t reached soon. The budget projections, including a cushion of reserve cash, show a deficit of $2.9-billion for 2014-2015 and a $6.4-billion surplus the following year. It would mark the first federal surplus since the 2007-2008 fiscal year. The government will save more than $1 billion annually by clawing back its share of health benefits for public sector retirees. Retired civil servants will now pay half the cost of their health and dental insurance plans, up from 25 per cent. “This is a good move that will save taxpayers $7.4 billion over 6 years,” Kelly said, adding that CFIB also welcomes further actions designed to restrain public sector compensation and reform sick leave provisions. 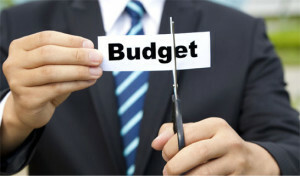 The budget was not entirely a good-news document from a small business perspective, however. “There are a couple of things we didn’t like,” said Kelly. One is the elimination of the EI hiring tax credit. In the last several years, EI rates have risen a small amount annually. This year, rates were frozen but the government eliminated the hiring tax credit, which had served as an incentive for small business to create jobs. “CFIB is disappointed about this and we urge government to move quickly to reduce EI premiums as soon as the account is back in balance,” Kelly said. He also expressed disappointment that the government didn’t lower the small business corporate tax rate from 11 to nine per cent. As many small business owners who pay themselves in dividends will be hit hard in 2014 by changes to the dividend tax credit, CFIB is relieved the government is promising further tax reductions for small business once the budget is in balance, Kelly noted.